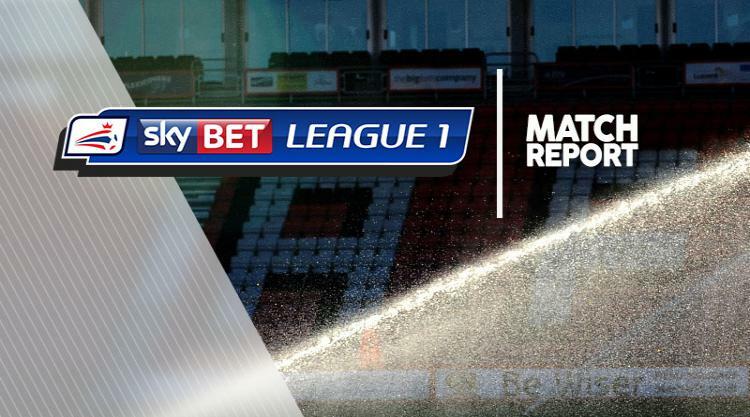 Rochdale dropped out of the Sky Bet League One play-off places after a goalless draw against Bristol Rovers at the Crown Oil Arena. The soft playing surface did neither side any favours and goalmouth incidents - let alone chances - were few and far between. Reuben Noble-Lazarus had the first effort on target when he met Harrison McGahey's cross from the right with a downward header at the back post 18 minutes in, Rovers keeper Joe Lumley diving to his right to block the attempt. As it turned out, that was the best chance of the opening period, although Rovers midfielder Ollie Clarke should have done better with a shot from the edge of the area that he scuffed towards the Rochdale goal. The second half followed in similar vein. The best move of the game arrived in the 72nd minute, a Rovers breakaway which started with an interception from Clarke, breaking up play between Peter Vincenti and Mark Kitching. Clarke's run forward ended with the ball being worked to the left and Stuart Sinclair playing a delicious pass into the path of Lee Brown, racing forward from deep down the left flank. The full-back provided Dale's debutant goalkeeper Ben Wilson with his first real test of the day, a rising drive from an angle which the goalkeeper beat away.